Wow! First night in Tokyo and definitely wont let the night pass without drinking a japanese craft beer, and i conquered the streets of Ikebukuro using my foursquares directions and a little bit of sign language! 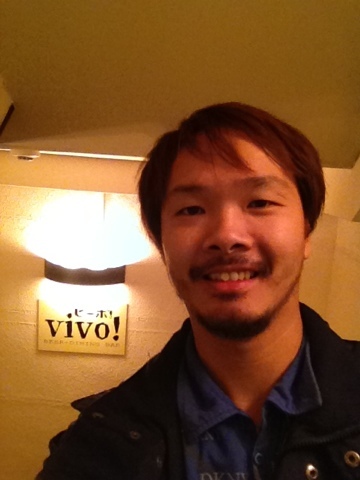 Most restaurant and bars here has limited space so is Vivo. But the place is cozy and the interior is perfectly arranged to maximize the space. They are an authentic beer garden because they have all types of beer glasses served exactly beer enthusiasts want it! 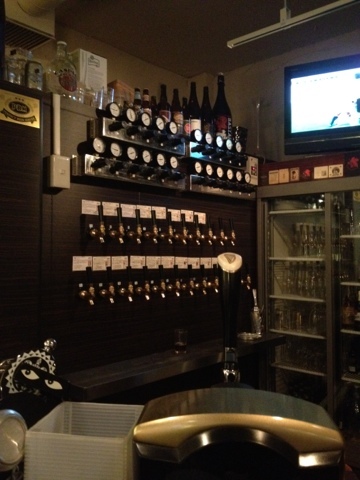 They have 20 freshly crafted brewed beers in tap, this is heaven! Yum yum! 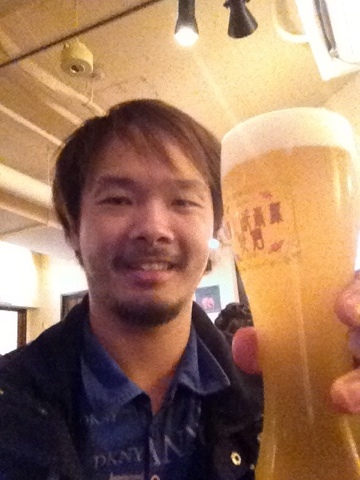 My first craft beer selection is a japanese style weizen brewed by Fujizakura Heights Beer, it has a 5.5%abv. The beer has a fruity and sweet aroma and it has a small head that disappears quickly. It is cloudy in appearance. It has a smooth taste at first and followed by a slight bitterness at the end. First time craft drinkers will surely like this because it is easy to drink. Ladies will definitely love this beer. A 300ml glass is about Y850. 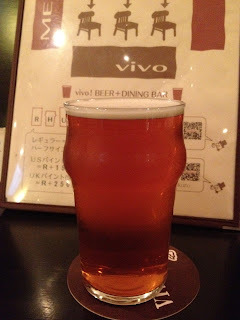 My 2nd beer was YonaYona Real Ale. Small head and easily dissolved, strong beer hops aroma and amber appearance. You feel the strong bitter taste upfront until you gulp it down, for me this is a hard-to-drink beer for newbies and me, i'm not a big fan of hoppy taste, but craft beer drinkers will love this. ABV is 5.5%. Day 2, i went back again to drink more of their craft brews. I now came with a friend who also likes beer but is new to craft beer. I am really enthusiastic to introduce the Craft beers to beer lovers, i want them to taste the difference between commercialized beer and craft brew. I drank Yokohama beer's Bohemian Pilsner, Celis White Belgian White Ale. This time, got a bit dizzy because i ate the delicious German sausages so fast that my stomach rumbled and my tasting notes as well, now i have a reason to go back to Vivo and drink all 3 again, Nice! What's even extra-ordinary is that even though there is an obvious language barrier between me and the bartenders and staffs, we still managed to undertand each other because of BEER. When i introduced myself as beerloverinmanila.com and that i love craft beer, i became an instant friend to them, they even showed me their Photo album they had at San Diego, California, home of the best craft beer brewers in the world. The entire staff went to San Diego for a week to tour the breweries there and they managed to close down their bar for a week for that trip, that is how confident they are with their brews! Staffs were extremely nice and humble. Arigato! For more info on their crafts and pub you may visit their site here. Directions: 5-minute walk east exit of Ikebukuro Station, JR! The (as Sunshine) road immediately to the right of the Yamada Denki Co., Ltd.
is a basement floor that!